We were called in by the customer as they were experiencing poor water flow through hot water outlets in bathrooms recently replaced by another company. Following our initial visit, it was ascertained that the taps that were installed were only suitable for high pressure systems and as they only had a low pressure gravity system they were suffering poor performance. The customer was given the option of replacing the existing high pressure taps for taps suitable for low pressure operation or to upgrade the system to high pressure. 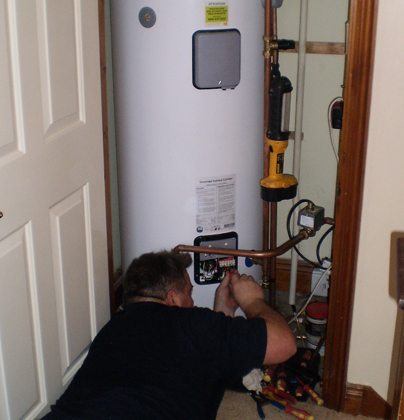 On considering their options, the customer decided to upgrade existing low pressure hot water system from stored water open vented system to mains pressure unvented system.